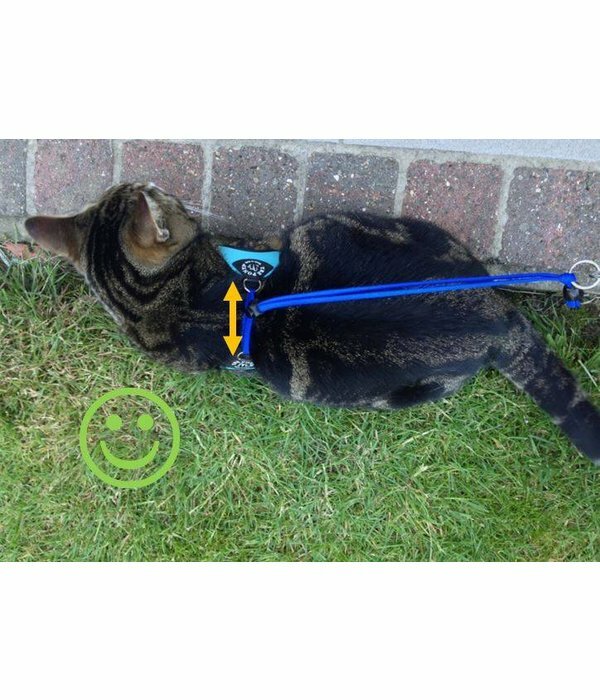 The Tre Ponti Liberta harness is an ideal cat harness. Of course, it remains equally important to train your cat from an early age and to learn it slowly because every cat prefers to roam freely. But if they can not roam freely, and they get used to it from an early age, many cats find it nice to explore on a leash in the garden or park. The leash / the line is easy to attach to the ring at the end of the Liberta strap. 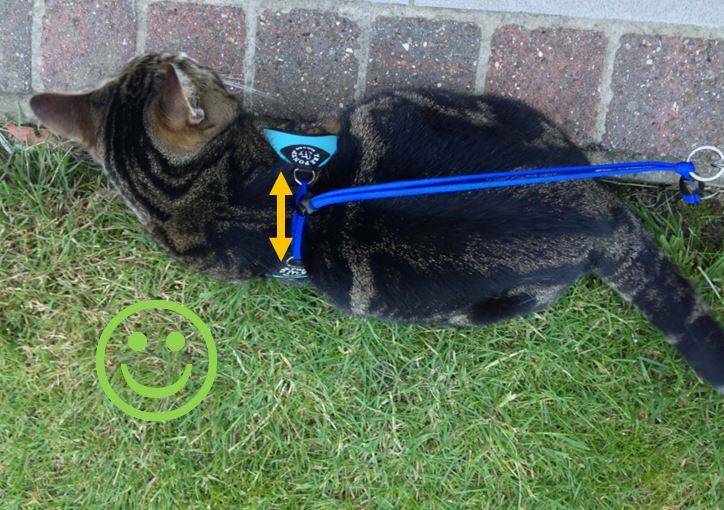 Important is that the Liberta harness has a decent opening as it is comfortably on the standing cat. Only then it will be smaller/thighter when the cat makes itself thinner to escape. The photos show clearly how it should fit. The indicated weights are of course an average indication. Do you doubt the right size? Below is additional information on the corresponding chest size. Each cat has a unique build, but the combination of weight and chest size give a good indication to choose the size. Because of the width of the chest at the front the size can deflect, but that can only be determined by fitting. 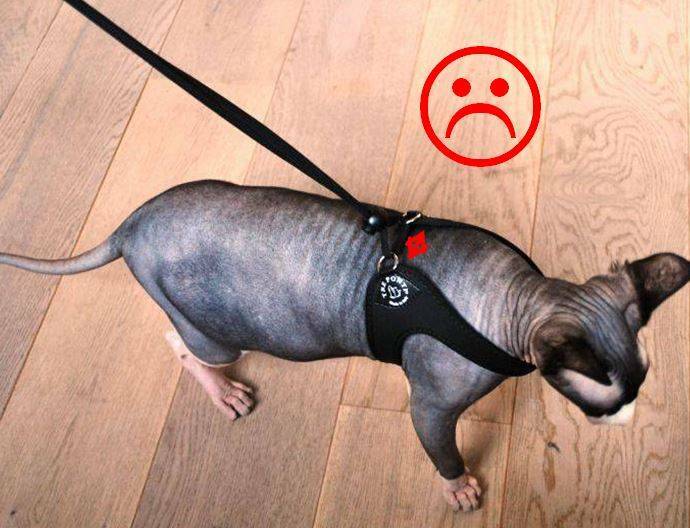 When Liberta harness is too small for your cat? The Liberta harness is too small if it falls into the armpits. 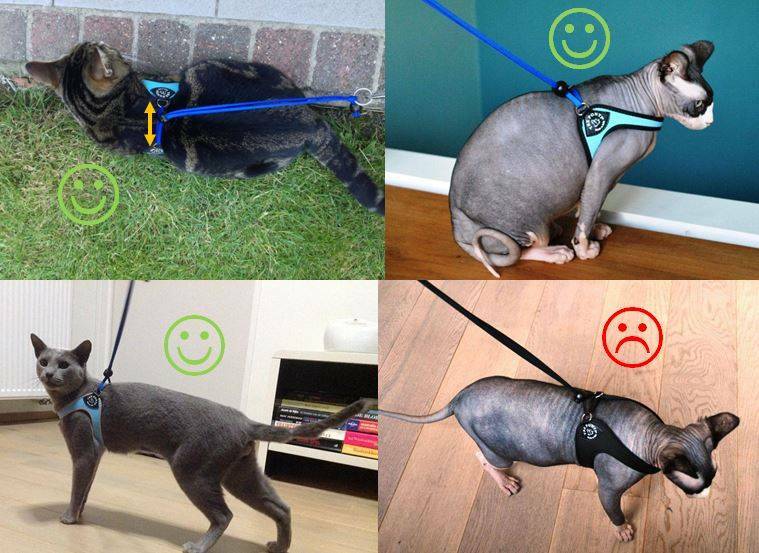 When Liberta harness is too big for your cat? 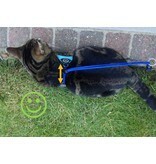 The Liberta harness is too big if it has less than 4 cm opening when the cat stands on its feet. Note that, the larger the cat the opening will need to be proportionaly bigger. 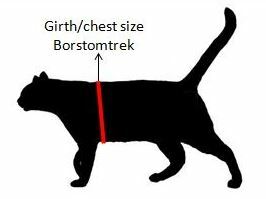 This is because the difference between the chest size of the relaxed cat and the chest size of the 'made narrow to escape' state is also bigger. - Never take the Tre Ponti Fibbia model for cats. 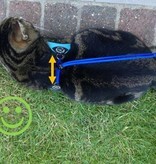 The closure is not adjustable, so does not adapt if the cat is trying to escape. - NEVER let a cat walk with a harness without your guidance. - Never expect of a cat that she walks on a leash (like a dog) in a busy area. With few exceptions, cats may (will) stress or panic, which not only traumatic and dangerous for your cat, but also dangerous for you (in her panic she can seriously injure you). - Of course, it remains equally important to train your cat from an early age and to learn it slowly because every cat prefers to roam freely. But if they can not roam freely, and they get used to it from an early age, many cats find it nice to explore on a leash in the garden or park. Merci voor de uitleg. Onze kat is blij met haar tuigje, ze kan nu samen met ons in de tuin. Het klopte inderdaad dat de borstomtrek een betere manier was om de maat te kiezen. Erg dank voor de duidelijke toelichting! Het tuigje past perfect. Dit is het eerste tuigje waar onze kat niet uit kan. Dank ook voor de hulp bij de keuze van de maat. Leuk dat jullie het zo goed uitleggen! Onze kat Miles kan nu veilig mee wandelen in het bos! Beste tuigje ooit!